1 Bdrm Upper Maisonette. Hall. Lounge/Dining area. Kitch. Bdrm. Bathrm (CT band - B). Parking. 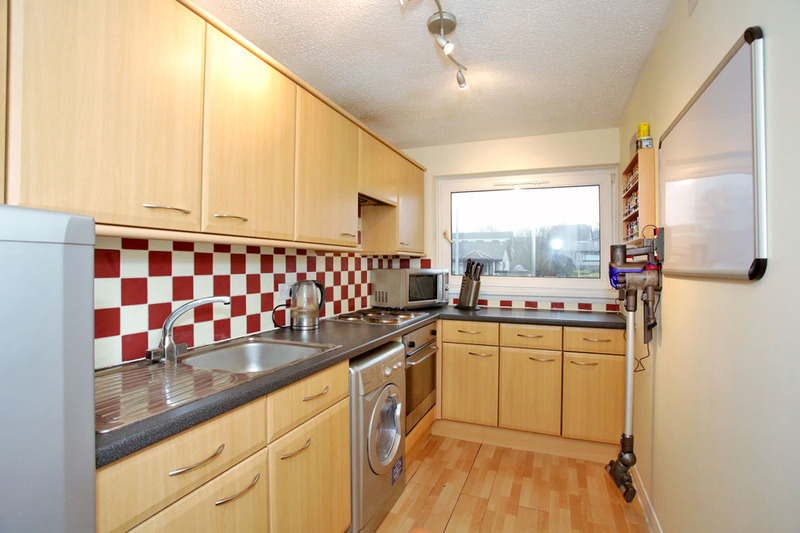 Fixed price £123,000 Entry by arr. Viewing 07725 521139 or contact solicitors. (EPC band - D). This one bedroom upper maisonette is situated in a quiet location with an open outlook to both the front and rear, the property has been maintained to a very high standard throughout with a new contemporary-style shower room having been installed within the past year, making this an ideal purchase for the discerning buyer looking to purchase a property and move in with the minimum of inconvenience. The accommodation is of fresh, neutral decorative appearance throughout and offers generously proportioned accommodation accessed by a uPVC door with glazed insets to the entrance hallway and staircase to the upper level. The lounge is bright and airy with a large picture window overlooking the front, a focal point of the room is the feature "Living Flame" electric fire, stainless steel central spotlight fitment and space for a range of lounge furniture as well as space for dining if required; the inner hallway has a large storage cupboard and further built-in cupboard housing the hot water tank both offering excellent storage facilities, access by Ramsay ladder to loft which is fully floored and lined with power and light, The kitchen is fitted with an excellent range of Beech base and wall units with stainless steel handles, contrasting worktop with splashback tiling behind, built-in electric hob with cooker hood above, built-in oven, under unit washer/dryer and free-standing fridge/freezer, stainless steel sink unit, window to the rear and stainless steel spotlight fitment. 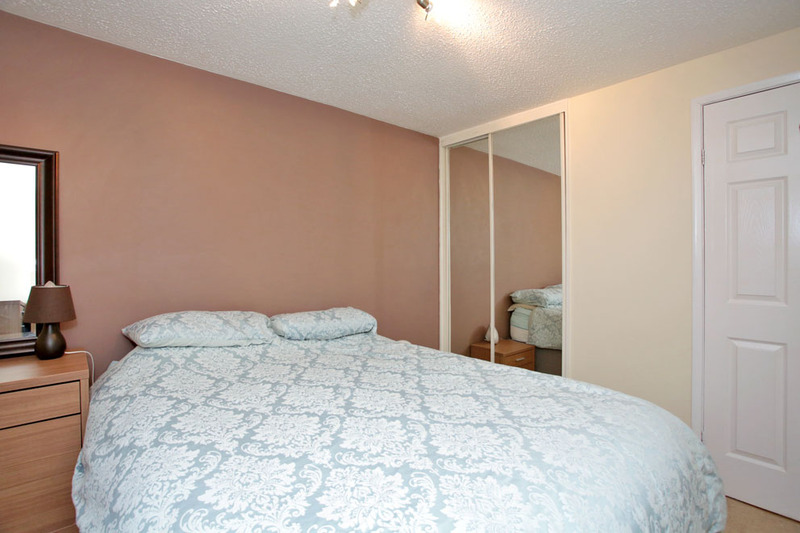 The double bedroom, again located to the rear of the property, has the benefit of a double fitted wardrobe with shelf, hanging space and sliding mirror doors, stainless steel central light fitment. Completing the accommodation on offer is the beautifully upgraded tiled shower room fitted with white three piece suite comprising w.c. and wash hand basin set in wood grained bathroom furniture with matching triple toiletry storage cabinet above with inset mirrors, walk-in shower area with glazed screen and fitted thermostatic shower, lined ceiling with inset ceiling downlights, heated towel rail and tiled floor with underfloor heating. 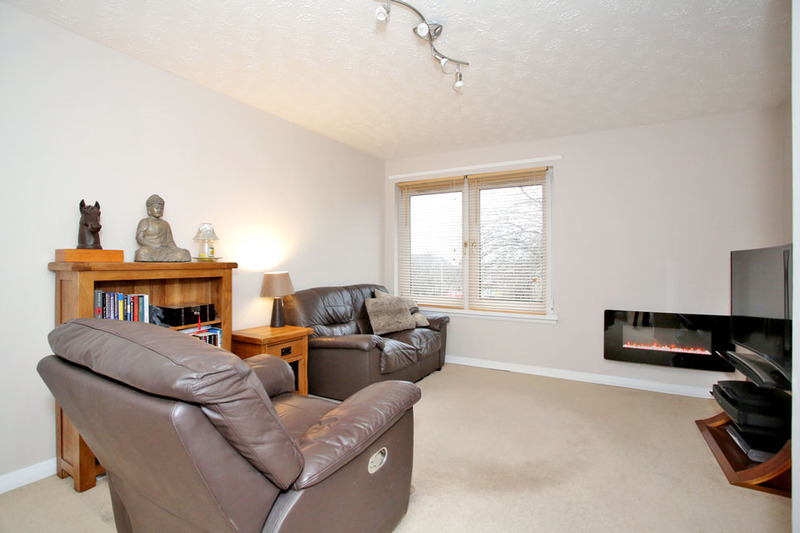 Outside, the property has a designated parking space and is surrounded by well maintained communal areas laid to lawn with mature shrubs and trees. 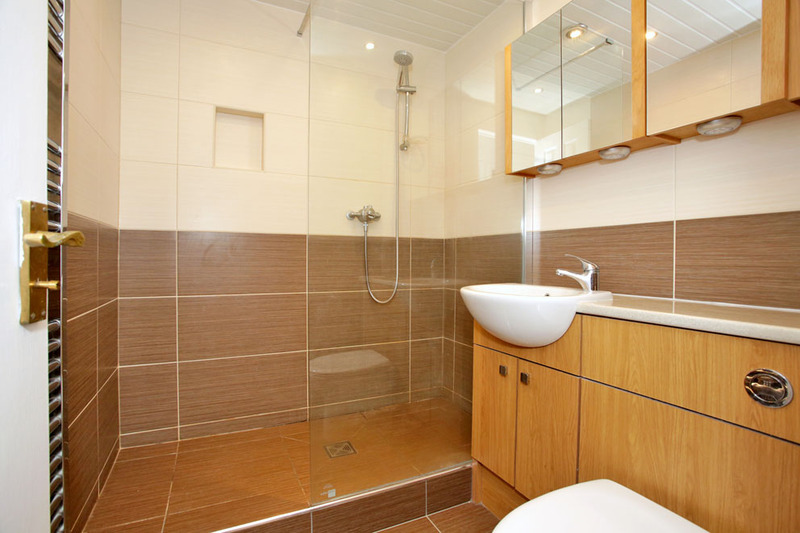 Internal viewing is highly recommended to appreciate the extent and quality of the accommodation on offer. Lounge 15'2" x 11'8" (4.62m x 3.56m) approx. Kitchen 11'2" x 6'" (3.4m x 1.83m) approx. Double Bedroom 11'4" x 8'9" (3.46m x 2.67m) approx. Bathroom 6'5" x 5'7" (1.96m x 1.7m) approx. The carpet and other floor coverings, curtains, blinds and light fitments, together with the white goods in the kitchen are all to be included in the price. Directions: From the eastern end of Union Street travel north on King Street towards the Bridge of Don, onto Ellon Road. At the Exhibition Centre roundabout turn left onto The Parkway and continue ahead for some distance. At the second roundabout take the first exit and first right onto Fairview Street; take the third left into Wallacebrae Drive and Wallacebrae Wynd is on your right. No 22 is a short distance along on the right. 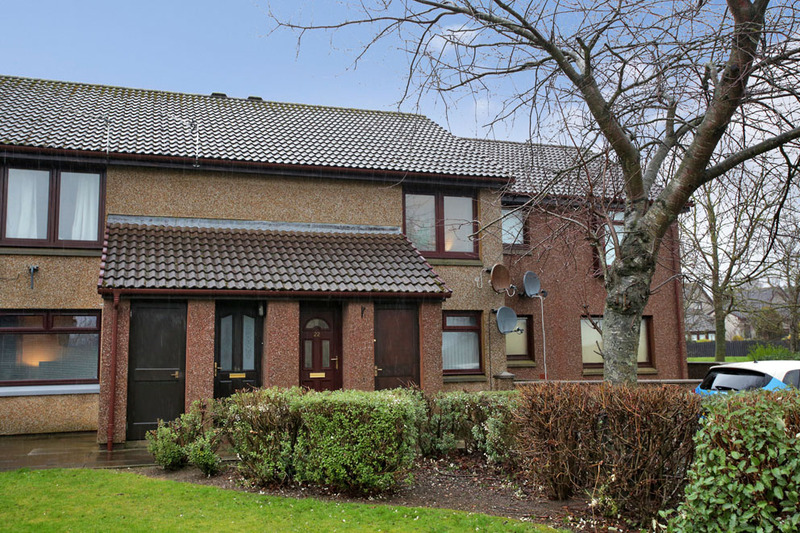 Location: Danestone is a popular established residential area which offers easy access to Aberdeen City by some of the main arterial routes including the Parkway and Aberdeen Ring Road. The location is also well served by public transport facilities and shopping facilities at both Danestone (including a Tesco Superstore) and Bridge of Don (including an Asda Superstore). Relatively easy access is also available to Aberdeen Airport and the oil-related offices at Dyce and Bridge of Don. The property is also within easy reach of primary schooling at nearby Danestone Primary.